This youth group appeared in the early 1930's, and included boys and girls. It was formed by the Page family. Bert Page was a local Baptist preacher, who farmed Pastures Farm. The uniform consisted of felt grey hat and grey shoulder strap with satchel. Meetings and parades were held in the school room of the Baptist Chapel. The Northamptonshire Advertiser records that a bonfire was lit by the Tryst as part of the George V Silver Jubilee celebrations in May 1935. The Tryst ended in 1939 with the start of World War 2, when Bert Page sold the farm and moved back to Wellingborough. 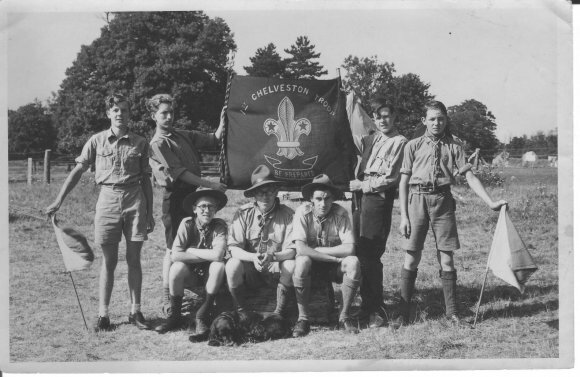 1st Chelveston Scout Troop in August 1948, taking Semaphore and Morse code proficiency test. 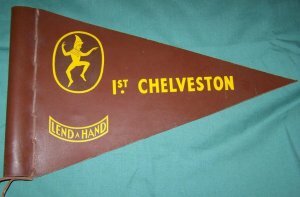 The 1st Chelveston Scout and Cub group was formed in November 1944. The vicar, C. Ayton Williams, was the first Scout Leader, and the troop and pack meetings were held in the school. 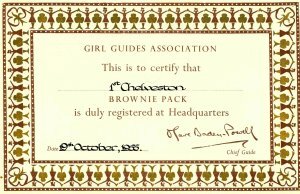 The 1st Chelveston Brownies Pack ran for two years, from October 1954 to September 1956. It was run by the vicar's wife, Mrs Rosina M Williams, for 14 girls, in two "sixes" (teams). Rosemary Vann — left for boarding school in September 1955. Bernadette Beirne — joined in November 1955 and left in April 1956. Norah Murray — left in November 1954. Penelope Odell — left in March 1956. As well as studying for their proficiency tests, in August 1955 the pack went on an outing to Wicksteed Park, Kettering.